Originally this was to be a turkey recipe, but I stuffed the turkey. Now it is a post about the most delicious peas you will every eat, Petits Pois a la Francaise. Yup, stuffed the turkey in more ways than its cavity. This just proves I am human, doesn’t it? The turkey itself tasted amazing. Sadly it just looked a little on the burnt side in the photos and not the glorious showstopper I wanted it to be. Oven issues are to blame, but we wont go into that right now, I’ll save that one for the New Year. 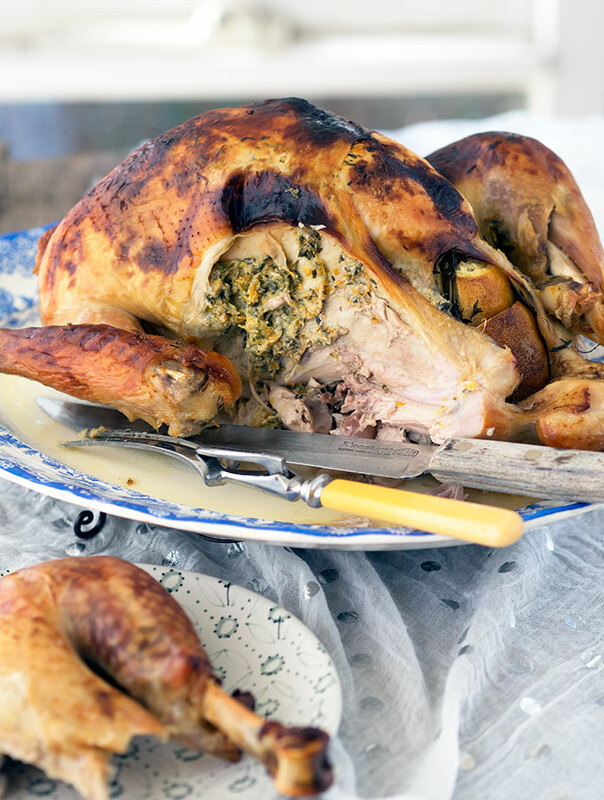 Vinnies are the reason why I originally wanted to share a turkey recipe with you. To give them a shout out so you can support their Christmas appeal this year. 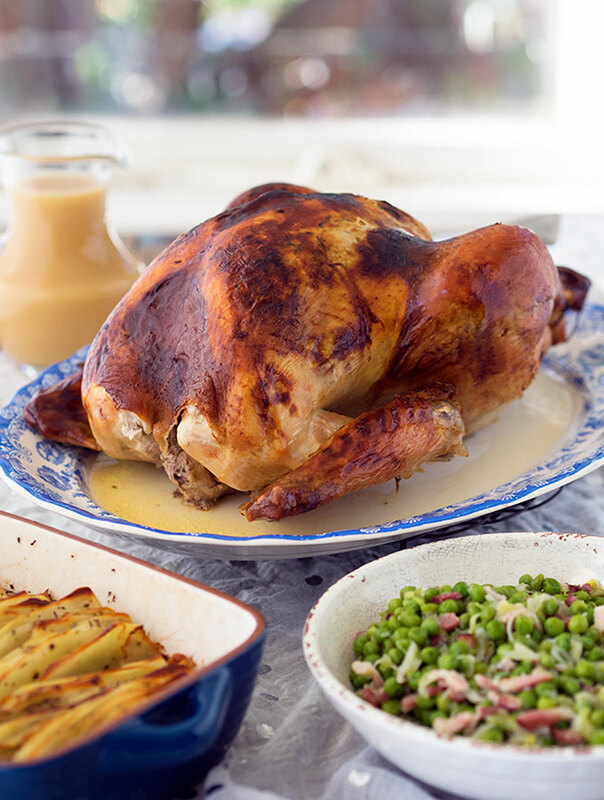 This year you can join the Vinnies Give A Leg Up Christmas Campaign and help one in 18 Australians in need, by removing a leg from your Christmas turkey and sharing a photo with the hashtag Give A Leg Up (#GiveALegUp). Steggles will make a charitable donation on your behalf when you share a photo of your one legged turkey via Facebook, Instagram or Twitter. Alternatively you can simply text “Give A Leg Up” to 1999 2323 to personally make a $5 donation. Therefore this post turned out to be all about the peas. And oh my God! They are super tasty, you won’t be able to stop eating them, peas. 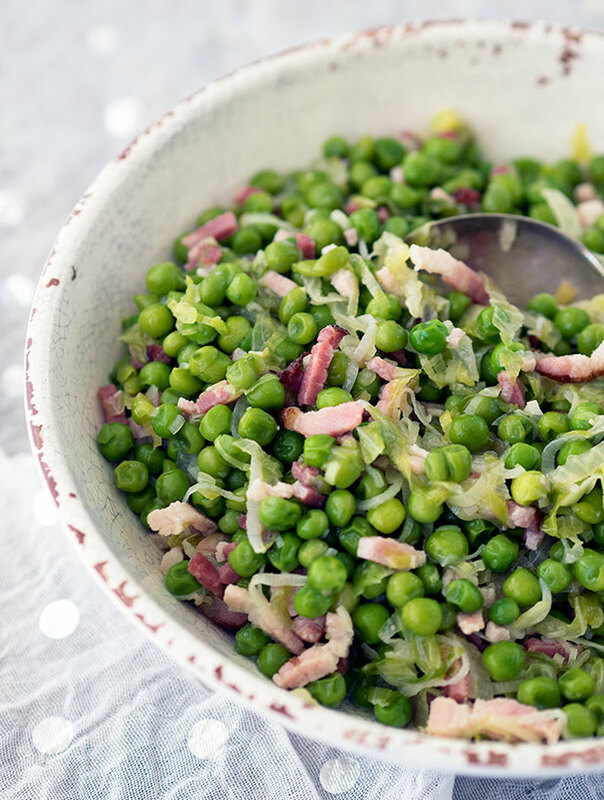 This recipe for Petits Pois a la Francaise is the only pea recipe you will need for Christmas, or anytime you want fancy pants French peas. Based on a Petits Pois a la Francaise recipe I saw a few years ago from Manu Feildel, I think it appeared in The Gourmet Traveller in the Chef’s recipes section. I haven’t really changed Manu’s recipe that much as it is a brilliant recipe. 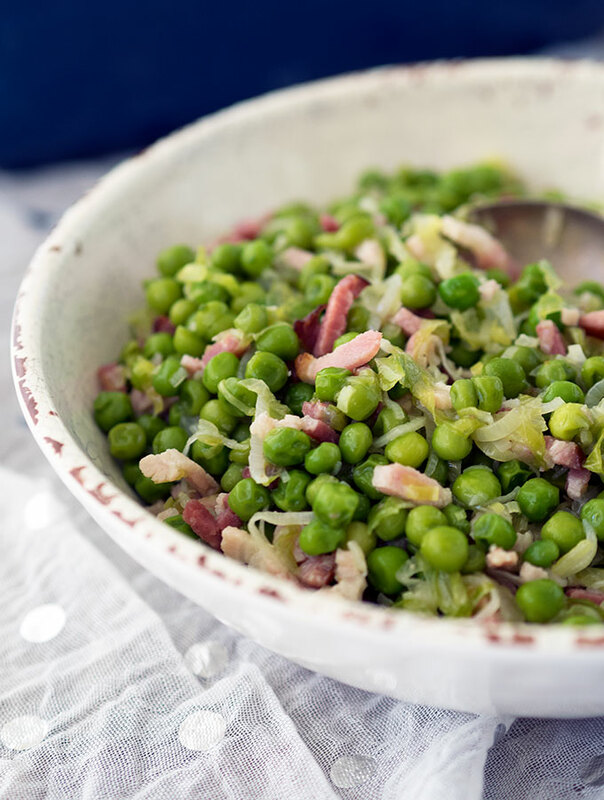 Petits Pois a la Francaise is a delicious combination of sweet baby peas with copious amounts of butter and smoky speck lardons. You may find the addition of iceberg lettuce a little unusual, but it adds another dimension to normally basic peas. Heat a large heavy based non stick pot over a medium heat. Add speck lardons and fry until golden, this will take 3-4 minutes. Then add leek and butter to the pot. Stir until the butter has melted and the leek is tender, around 5 minutes. Add peas and water and bring to a simmer. Add lettuce and continue to simmer until the liquid has reduced to a coating consistency and the lettuce is tender. Season as needed with salt and pepper, serve immediately. I have a little tip for any peas that you may have left over. I made mine into Petits Pois a la Francaise fritters. Add an egg to your leftover peas and a little plain flour. The amount of flour will depend on the quantity of your leftovers. Add just enough flour to create a batter with the peas and egg. This may only be a couple of tablespoons of flour, you are going to have to judge that one yourself. Spoon tablespoon sized dollops of the batter into a non stick pan and fry them up. These fritters are a very tasty way to use up the leftovers. Don’t forget to share those one legged turkey photos this silly season to help somebody who is in need this Christmas. You know, turkey is turkey. It’s all about what you serve it with, isn’t it? These peas look beyond irresistible and will definitely be made in this household. Happy New Year to you guys! Peas are definitely one of my favourite veggies. Add speck and I’m in total bliss!